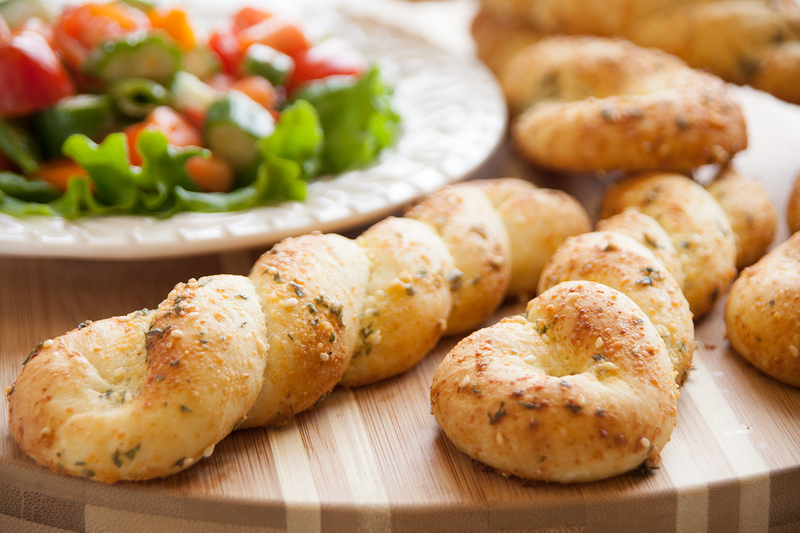 Everybody loves bread sticks and these are beautiful and delicious. Spray counter lightly with non-stick cooking spray. Roll each roll into a 12 to 14-inch rope. Fold in half and twist together. Mix together remaining ingredients. Brush top and sides of each twist liberally with mixture. Place twists on a large sprayed baking sheet. Cover with plastic wrap and let rise until double. Remove wrap and bake at 375 degrees F 12-15 minutes or until golden brown.